To help students cultivate talents with outstanding international perspectives and leadership skills in the field of personal information protection, master relevant industrial policies and laws, and have the ability to handle international legal affairs in this field, Peking University Law School holds the first Personal Information Protection Workshop from April 21st to 25th. At 8:30 am on the 21st, the opening ceremony was held at (Leo) Koguan Building B102. Yang Xiaolei, vice dean of the PKULS, Zhang Ping, professor of the PKULS and executive deputy director of the Institute of Intellectual Property attended the event. The opening ceremony was hosted by the Shi Shi, Director of the Domestic Cooperation Office of PKULS. 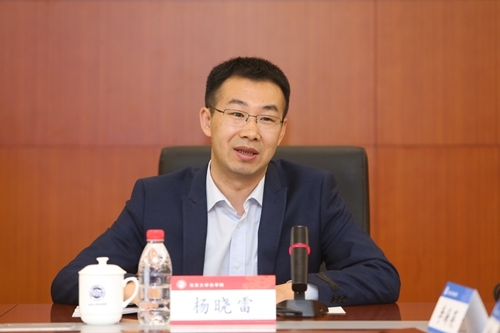 Vice dean Yang Xiaolei pointed out in his opening speech that in recent years, with the vigorous development of the Internet industry and the advancement of information construction, personal information, big data, and artificial intelligence have become hot topics. The significance of setting up a personal information protection seminar is not only to systematically teach the theoretical knowledge and practical skills of personal information protection, but also to realize the interaction of government, production, learning, and research on a neutral platform of academic perspective through a collaborative innovation platform for government, industry, and research，strengthen in-depth exchanges and cooperation, effectively gather talents, technologies, and capital elements, and constantly explore, study, and solve problems. 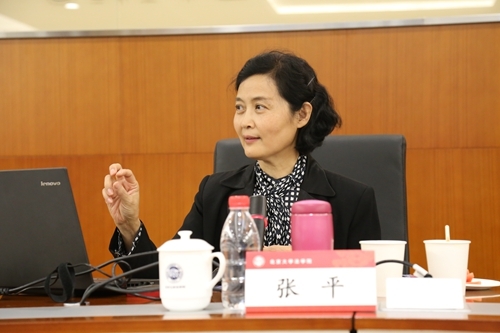 Responding to the needs of the times and cultivating high-end rule of law talents adapted to the rapid development of society, Peking University Law School has always been on the path of pioneers. Prof. Zhang Ping introduced that this training class is the first domestic high-end personal information protection project specially designed for the society. It will hold special seminars on the hot and difficult issues in the field of personal information protection in the era of big data and introduce advanced experience at home and abroad. It can increase the speed with which companies respond to the requirements of the new law and ensure that the company's behavior complies with legal norms. Finally, Prof. Zhang Ping proposed an initiative: “Build a Human Information Protection Destiny Community”. Under this community, we will strengthen communication, expand consensus, deepen cooperation, and help each company realize their own development vision. Later, Huang Xiaolin, head of the Data and Privacy Center of Tencent Technology (Shenzhen) Co., Ltd., and Li Haiying, senior expert of the Privacy Protection Office of Ant Financial, respectively made speeches as participants. They said that "personal information protection" is not only related to everyone's immediate interests, but also a company's problems. It is a major issue related to the fate of the industry, and it is the social responsibility shared by all practitioners. They hoped to find more and better answers through five days of learning. At the same time, they can also put forward more updated questions and continue to resolve them in the future, thereby contributing their due strength to the construction of the rule of law. 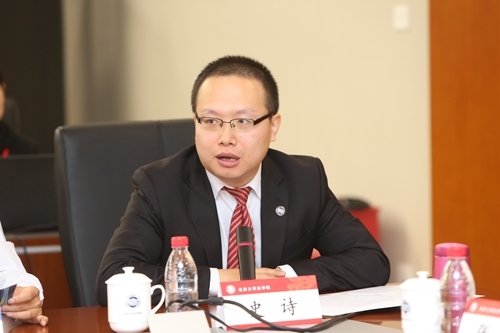 This seminar was organized by Peking University Law School professors, such as Zhang Ping, Xue Jun, Yang Ming, Liu Yinliang, Wang Xizhan, and Yi Jiming, etc., focusing on the legal and policy regulations and developments in the field of personal information protection. Course topics include personal information. Protection policy analysis, personal information protection system framework, GDPR implementation impact on Chinese companies, ownership and use of data rights, etc. 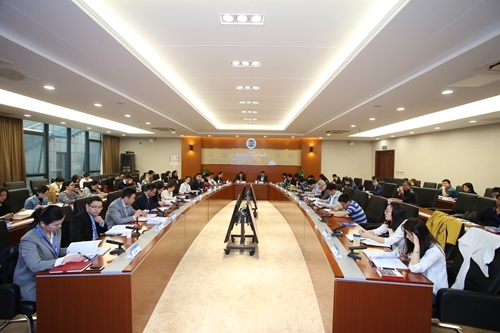 In addition, the seminar organized a thematic forum on “Personal Information and Intellectual Property Protection in the Age of Artificial Intelligence” and invited professors Liu Dongjin of Peking University Law School, and relevant person in charge, senior experts from Baidu Patent Affairs Department, Privacy Protection Office of Ant Financial, and Peking University Yinghua Technology Co., Ltd., together with students, conducted in-depth discussions on privacy protection and data security practices in the context of big data. Participants of the seminars will also visit Jingdong Financial Company, discuss with the Jingdong Financial legal consultants and technical experts, and discuss the status quo of personal information protection of financial technology enterprises, and look forward to the future of new paths, new developments and new opportunities for financial technology. The first session of the Personal Information Protection Seminar of Peking University attracted about 80 participants from management personnel, legal personnel, lawyers and media practitioners of Internet and data business enterprises. During the seminar, the participants will listen to the theoretical analysis and the latest practice developments of the teaching experts on the protection of personal information, discuss hot legal issues and discuss social issues with the famous teachers.